The Double TWO men’s shirt has led a varied life since its inception in 1940. What started out as a practical utilitarian garment has moved through the revolutionary styles of the 1950’s and 60’s, endured the flounces and frills of the New Romantic 80’s and lives to tell the tale. It is firmly established as a modern classic and a mainstay of the British tailoring scene. 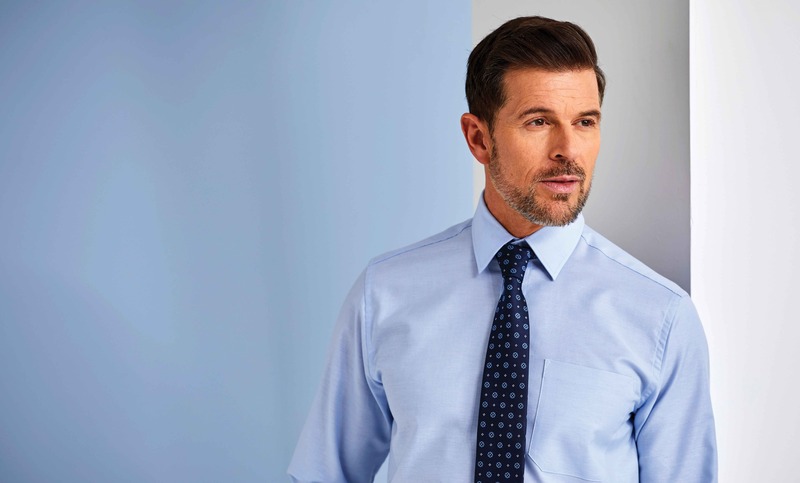 The Double TWO collection brings you men’s formal shirts in a variety of plain and patterned fabrics for everyday office wear, black tie events, weddings and evening occasions. Shop office shirts, evening dress shirts, patterned formal shirts plus must have accessories including ties and cuff-links. It goes without saying, we provide a shirt for every occasion.